Posted on December 12, 2012 by Pat B. 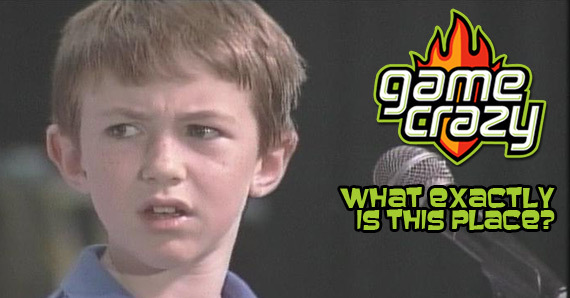 Well, we’ve had a month now to fully experience the newest installment of the Call of Duty franchise and the internet is teaming with the gaming community’s reactions to it. Some are good, some are bad, and all are pretty extreme. Today, no other game seems to polarize the gaming community quite like a Call of Duty title. Pair this effect with an almost simultaneous release opposite the much anticipated Halo 4 and you can see why the Mayans would think the end of the world would happen this year. The Fall of 2012 in video games could pretty much be summed up with any battle scene from Braveheart, with hits such as Assassin’s Creed 3, Farcry 3, and Borderlands 2. Why Should We Play This One? 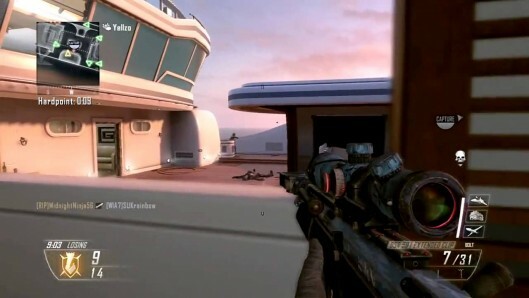 I for one think that there’s some common ground to be found when it comes to Black Ops 2, the multiplayer. 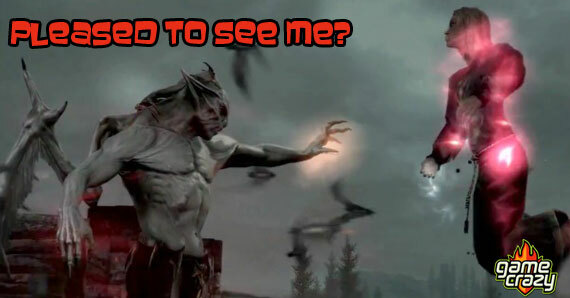 Say what you will about the single player campaign, but when it comes to the multiplayer, it’s as balanced as it gets. This is Treyarch‘s second time around with Call of Duty development and the multiplayer of Black Ops 2 seems to be the culmination of lessons learned. Ok, balance or no balance, you put a bunch of people with guns on a boat and things are gonna get crazy. Snipers have to be more creative and faster than ever, run and gunners have to be ready around every, and mean every, corner, and campers, well, no place is safe for you in this game. 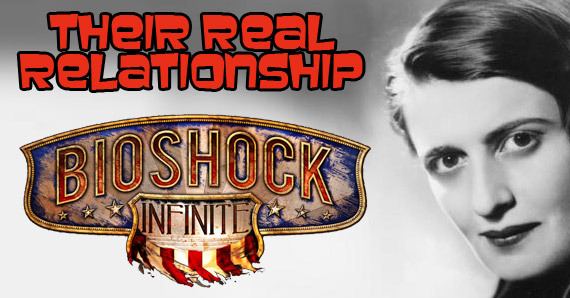 While the game seems to dial up the difficulty on every play style, it offers abilities and at times, advantages, to all players if they can achieve a balance with their multiplayer class. This game has more class customization and content available to the player than any other Call of Duty title, but the game doesn’t just give it to you all willy nilly. To keep the game from turning into an all out chaotic feeding frenzy of kills, Treyarch has yet again implemented its unlock token system to keep everything in check. They’ve also limited the amount of items and perks a player can use in a very crafty way. 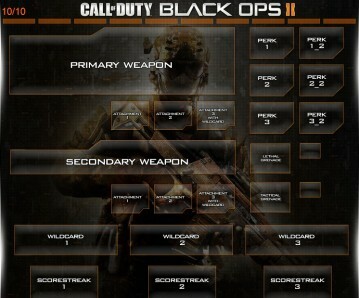 This is the custom class builder for the Black Ops 2. As you can see, there’s a lot of different ways to build a balanced yet lethal class. They allow a player to carry just enough weapons and equipment to accentuate a players strengths but doesn’t allow them to be all out dominating. More skilled players have to rely more on raw skill and wit to eek out that round of multiplayer dominance while new comers have enough lethality to take out anything in their path and earn a decent score. 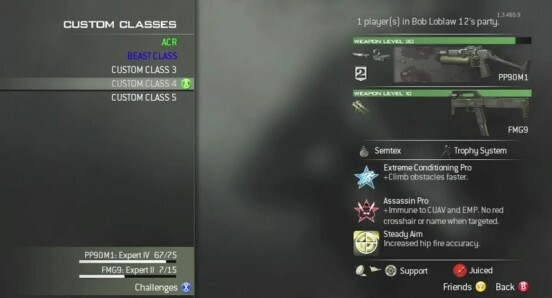 Here is the custom class builder for Modern Warfare 3. 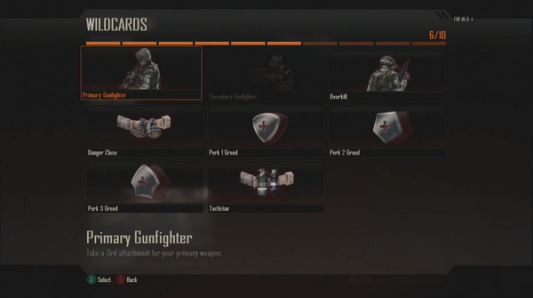 You can see that you don’t have the same amount of options or flexibility with your class as you do in Black Ops 2. In addition to the unlock tokens, the new wildcards add yet another level of limitation and balance. If fully utilized, the wildcards can give you ungodly abilities but at the expense of other aspects of your load-out. Sure, you can use your wildcards to load up on extra perks but doing so means you will be going into a game with nothing more than your primary weapon and your knife. If that’s your style, then more power to you but this is the kind of game where having weapon options in game can be extremely helpful. Now don’t think that Treyarch simply nerfed the classes to make it fair for everyone because that’s not the case here. They simply made the game fun for everyone and not an exclusive affair for those that spend hours upon hours online playing. It adds an edge to the game that keeps all of the players on their toes. No one is safe, no place is safe, but if you arm yourself right, you may live long enough to rattle off a kill streak and take advantage of the awesome new kill streak rewards in this game, it’s all about balance. 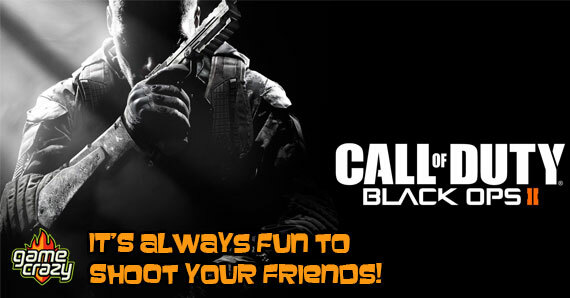 This entry was posted in Review, The GC Blog and tagged Call Of Duty, call of duty black ops 2, call of duty black ops 2 review, cod review by Pat B.. Bookmark the permalink.